Fashionistas and fashion bloggers are so un-imaginative at times! 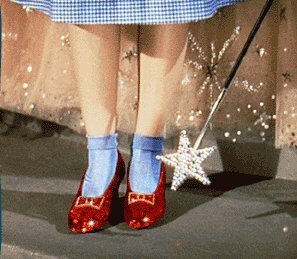 Whenever they see/wear a pair of red shoes, the comparison with the iconic sparkling red pumps worn by Judy Garland as Dorothy Gale in The Wizard of Oz is always there. As if those were the only memory-worth red pumps.